There are some (I will not say genres) types of books one tends to orbit around, and one can perhaps learn a lot about the context of a particular book by understanding its literary family. The Day We Delay might belong, as a kind of distant cousin, to that heritage of books that make scorching indictments against the manners and mores of the day. In this list I would include Dostoyevsky's Notes From Underground and Cioran's aphorisms. Seidlinger's book does not depend on the literary device of delivering the left hook as we would find in the works of Sinclair Lewis, or leveraging a complex layer of abstraction a la Donald Barthelme. This is, of course, not to say that Seidlinger does not have those thick layers of abstraction that create a high literary prose zone where description is action, and action is inherently conceptual description. Among the bouquet of themes that garland this book, I pick out the most curious bloom of the concept of time and delay. This is a selection made on the basis of my own interest, and the foothold I gained while reading this book. But the time stamp on this book is one of that conspicuous time of consumption. Here we have a suicide cult that consumes a seemingly endless reserve of time in the present, forestalling their own conclusion in the act of their own final solution that is as reticent as the retreating horizon upon which they set their purpose. Throughout the novel, we are privy to that kind of hyperbolic Baudrillard-esque fatal strategy of consumption practices that have no intrinsic or extrinsic value. It is simply the exchange of signs, the dematerialization of all material objects of consumption within a closed semiotic system that has replaced the old structures of use and exchange value. There are vast, arid deserts of products and commodities that generally signal status and wealth. These objects populate the novel along with what I can call a sort of anti-capitalist rant (although we cannot be deceived that this is the only target). The objects cease to produce happiness, lodged as they are in a transcendent system that sells the images to the consumer and leaving said consumer with only the disappointment of the particular objects. The promised unity and the oceanic bliss of consumer products becomes a lie, a further alienation of the consuming subject who is now lost in that desert of goods that have no meaning. There is a particularly resounding scene in Jean-Luc Godard's Les Carabinieres that is elicited in my memory as I read Seidlinger. In the movie, two peasants are promised the riches of the world if they volunteer to fight in some vaguely described world war. Upon victory, they return to their wives with their booty which simply consists of polaroids of all the great monuments of the world. It is in this way that the volunteer soldiers were given what they were promised, albeit they can only accumulate the images (there is, in this film as it also similarly operates in Seidlinger's book a strong nod to Guy Debord's Society of the Spectacle). Another element of the plot that conjures up a vivid attachment in me is the building of a hi-rise that the financier will populate with nothing. We have here only to think of the senseless closing of all the commons (we think here not only of physical property, but also of virtual property, psychological space, etc.). What is being raised, it seems to me, is a monument to affluent nothingness; it is the simple erection of a status object etiolated of any meaning. Meaning can only occur where there is an extrinsic value of signs indexed on needs and wants. But in this hi-rise, this senseless territorializing of space (which roughly parallels in metaphor our own directionless expansion of selves in the world off- and online), the principle is that of rampant capitalism: growth for growth's sake. To return to the dominant motif of time, the aspect of delay cannot go without serious statement. Time itself, governed by the ecstatic delay of the eternal present, the Jungian-based consumption practices of the Puer Aeternus of our culture, is absorbed into that vicious semiurgy and thus loses all value. What we are left with is a hyperproduction of present time without resolution and purpose. This yawning swathe of infinite, dehistoricized time renders all actions - be them the consumption of goods or the consumption of life itself through suicide - ultimately meaningless in this simulacrum. The economic determinist system boasts a unity that can only alienate, a level of affluence that banks on the widening disparity of haves and have-nots, and a lengthening of life simply for the purposes of consuming more. The time of duration has been stalled in this present and there can be no future. Futurity is indexed on a plan and these plans are the product of reflection. 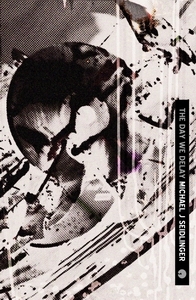 In Seidlinger's novel, as it may also stand as true in our current society, history itself dissolved in the economic construction of the spectacular, the nostalgic and sentimental that bear little to no relation to the past other than by caricature (the past is sold back to us in greatest hits albums that are said to define a decade, and these overcode our actual experiences of those decades). Time becomes fragmented minutiae, an obscene proliferation of the present moment made immanent. The economic determinist system has successfully transformed the world of Seidlinger's characters (and perhaps our own) into what Heidegger calls the inauthentic - no longer a self (which relies on reflection and a putting-forward into a future) but a series of impersonal ones: One is online, One is shopping. Substitute here Jorgen Leth's The Perfect Human, and we come to understand just how vacuous these former selves actually are, reduced to ideal abstractions that promise unity in radical self-alienation. The suicide cult's own purpose is the product of surplus-aggression (to borrow from Herbert Marcuse), and the destructive power of the id that functions as a kind of dynamo manifests itself in the production of the spectacular present that is, in many ways, the eternal waiting room, the eternal airport lounge, the eternal mall as we all wait for something to happen. Perhaps for Godot who is, as we know, the ultimate harbinger of the final meaninglessness of all action. In this way, Seidlinger gives us an intimate portrait of defeat, but it is the productive defeatism of contemporary commerce. The endless deferral marks the present moment as we are in the affluent desert of littered goods that no longer speak any existential meaning, and we become barred from any consummation of time in the permanent frustration of all drives.